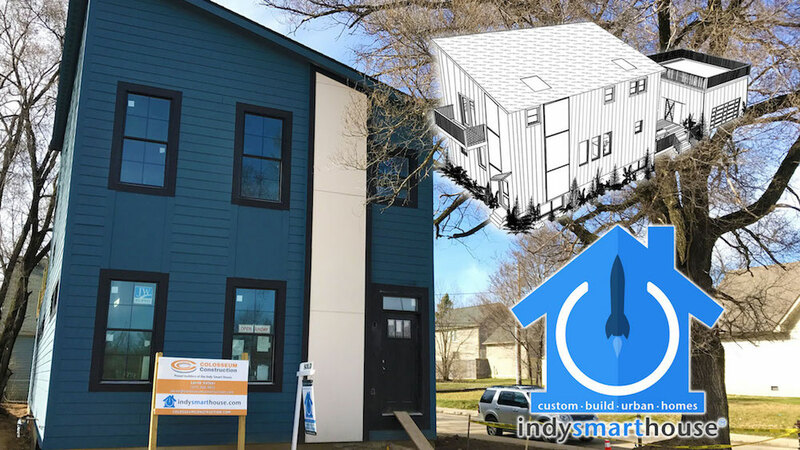 The Indy Smart House began with a set of goals. Primarily “how to utilize a Downtown Indianapolis lot”, with limited space, while incorporating the needs for “social spaces and storage spaces”. How could we combine indoor and outdoor living spaces to maximize the lots full potential? 1. How do we use space? 2. Who do we use it with? 3. What do we do next? We felt that by addressing the questions of function, our form would follow. The tools we had were Research and Personal observations of Buyer clients authentic comments. The BLC research, (from the years 2010 to 2015), showed several strong distinctive trends that stood out.Trends that were getting stronger every year. There was distinct evidence that New Home construction was not only selling quickly, (also called short DOM), but that they were also selling for full asking price or above. This trend was even more pronounced if the home was of a Modern Contemporary design. Yet anomalies would appear. Some Listing would linger on the market for months, (a Long DOM). These homes would also have continued price cuts until Sold. Why? We wanted to know. What made the difference. Personal conversations with Buyers gave us a deeper understanding of the market forces driving these trends. Clients told us what they liked, what they thought was cool, efficient, clever, and how it fit with their lifestyle. They told us what they felt was missing, lacking, and what they wished for. The first indy smart house was designed to incorporate what the Market place was saying, and what the trends were confirming. That design idea was presented in 2016. The response was overwhelmingly positive. It Sold in 27 days. The journey of how it got built, what we learned and what we are going to do next, will shared in our next blog stories. We hope you find it as interesting and informative as we have.